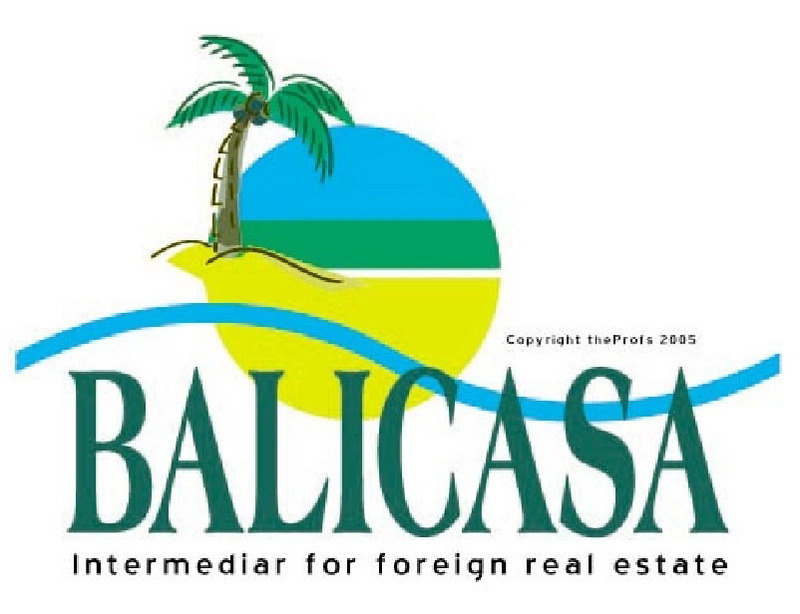 Most of the North coast falls under the regency of Buleleng, once Bali´s main port. This long contact with outside influences is reflected in the ethnic diversity of its population and as a starting place for new artistic developments which spread South. Jembrana, and East Java, forming an alliance with Mengwi that lasted until the end of the 18th century when Karangasem returned to power and overtook Buleleng. During the mid 1800's the Dutch defeated Buleleng in their first attempt to take Bali. 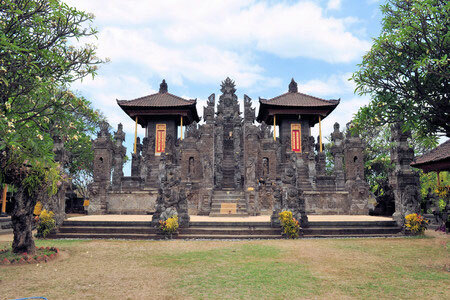 The Dutch made Singaraja Bali´s first capital, which still has some colonial buildings and Chinese Temples. Bali´s main port in Dutch colonial times. This town received many influences from the foreign traders. Singaraja has a number of Chinese temples and colonial buildings. The Gedong Kertya Library houses has a unique collection of Lontar (palm leaf) scriptures written in Balinese, covering many issues including traditional literature, medicinal formulas, black magic and many more. There are a number of old books in English, Dutch and Ancient Javanese (Kawi). This historical but unused harbor is located along the North coast. Old warehouses, an ancient jetty and an arched bridge are all that is left of this one time major seaport. Here, a monument has been built in commemoration of Bali´s struggle to defeat the Dutch. A famous town landmark is the winged-lion statue located on Jl.Veteran, near the Tourist Office and opposite the office of the Governor of Buleleng, which symbolizes the heroic spirit of the people of Buleleng. Pura Agung Jagatnatha is one of Bali´s biggest and newest temples. An outstanding feature is the Padmasana, a shrine that symbolically represents the three parts of the Balinese Universe. Just off the northwest coast of Bali lies a small island with the name Menjangan island (of Pulau Menjangan in the Indonesian language). This island is situated in the protected marine reserve of the Bali Barat National Park. 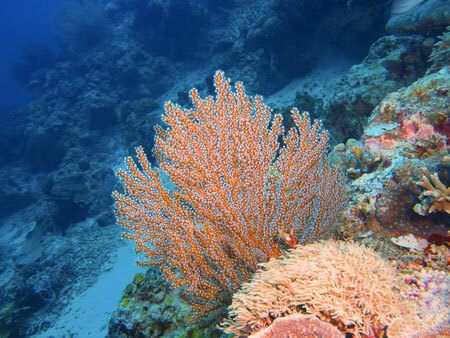 The island is surrounded by hectares of beautiful coral reef gardens with a very diverse eco biology, which makes it a favorite destination for snorkelers as well as divers. The good drop-offs on Menjangan’s south side is a popular spot for local people and tourists wishing to dive for a variety of fish and coral reef exploration. There are no dangerous currents to contend with in this area. Apart from a high diversity of coral species and colorful, tropical fish there are also many kinds of sea birds and shorebirds frequenting the island. Also the Hawkesbill Turtle is sighted frequently in the area. Menjangan island is often referred to as Deer Island as it happens to be the habitat of the Barking Deer or Muntjac (Muntiacus muntjak). Visitors can regularly spot these deer taking a bath at the secluded, sandy beaches of the island. North West BaliTo reach Menjangan island you can hire a motorboat from Pemuteran / Labuhan Lalang (30-40 min). Labuhan Lalang lies at the main road to Singaraja and is accessible by bemo (minibus) from both Gilimanuk and Singaraja. A small port where divers and visitors may catch a boat to Deer Island ( Menjangan Island), a small island with peaceful and tranquil atmosphere as there is hardly no population yet. This place is located about 75 kilometers west of Singaraja. This place is also known as Jayaprana´s grave. This site remembers the sad love story between a prince, wishing to marry a country girl. However, the king also wished to marry the girl and so he had to kill the prince. While dreaming of the happenings, the girl killed herself rather than marry the wicked king. A panoramic view to the North makes this a site well worth visiting. Located about 60 kilometers West of Singaraja. 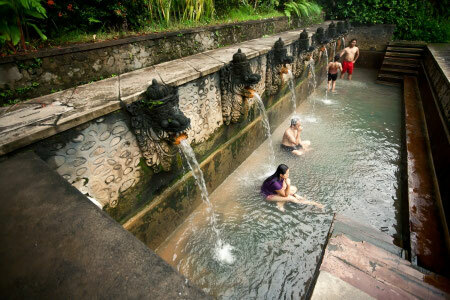 Natural hot springs with supposed curative powers near a temple. This place need maintenance. About 55 kilometers West of Singaraja. A large temple on both sides of the road part is perched on craggy rock looking out to sea. The other part climbs into the hills. Both parts house monkeys that are keen on eating almost everything in sight. Balinese women sell fruit to tourists and it seems that grapes are their favorites. About 50 kilometers West of Singaraja. You can find here a government run fish breeding project. Turtles, shrimps and prawns are included in the program. About 20 kilometers West of Singaraja. These slightly sulphuric hot springs are well worth visiting. Set slightly back in the hills, dragon fountains fume hot water into the tiered bathing pools. A number of souvenir shops and a restaurant cater to tourists. A number of local visitors and schools visit at weekends and holidays. Bali´s largest Buddhist monastery set in beautiful valley scenery. About 15 kilometers from Singaraja. Built by the Dutch and destroyed by the Balinese during the Independence struggle. It was built by the local government in 1992. The monument offers an extraordinary view of Lovina and the coastline. Gushing falls in the wet season, the water may not fall as much in the dry season. The falls are well signposted. Just about 10 kilometers West of Singaraja, Lovina is Buleleng´s main tourist area. Black sand beaches fringed with palm trees open onto a calm sea where travelers can view dolphins, snorkel, dive, sail, fish and swim. Lovina is a resort area with a full range of standard and luxurious accommodations. Banyuning is a village known for pottery and ceramics. Beratan is famous for its gold and silver works with many unique styles. About 10 kilometers East of Singaraja. Pura Dalem ( the temple of the ancestors) is famous for its unique and amusing stone carving. Pura Beji is a temple dedicated to the Goddess of rice and is also well known for these extraordinary carvings. About 10 kilometers South of Singaraja. An impressive waterfall cascades into a small lagoon in a plantation of coffee and clove trees. Located about 15 kilometers East of Singaraja. The Maduwe Karang Temple is renowned for carvings of a very imaginative nature. One of such carvings is the one of a Dutch colonist riding around on a bicycle which tires has been made entirely of petals. Entrance of Pura Meduwe Karang Temple at Kubutambahan village, 12 km eastern from Singaraja in the north of Bali. This is another Northern temple that has amusing carvings. Some of the carvings depict the Dutch colonialists getting drunk, an armed robbery and a wartime dogfight between airplanes. The villagers are traditional makers of gamelan gongs and other gamelan instruments. The Batu Bolong temple is quite distinct looking. A cool natural spring-fed pool borders the beach. A mountain village known for the golf course, Bali Handara Kosaido Country Club and two of Bali´s lakes, Buyan and Tamblingan. The Ponjok Batu Temple (ponjok batu means pile of stone) perches on a rocky cliff next to a beach. A fresh water spring bubbles forth right on the beach. It is said that this is the oldest village in North Bali. Probably a megalithic village, the culture, dialect and rituals are quite different from the rest of Bali. Munduk is Bali´s ecological village. This scenic village, located in the mountains, is an ideal place to stay and escape from the heat. Foggy afternoons, fields of blue hydrangeas and numerous waterfalls make it an ideal place to go hiking. Leave at about 06.00 am by a traditional boat from Lovina beach area, arranged by the local fishermen community. It takes about two and half hours to return. Those who stay in Kuta area have to leave about 3.00 am early morning from Kuta to get to Lovina Beach, or 04.00 am from the Ubud area. 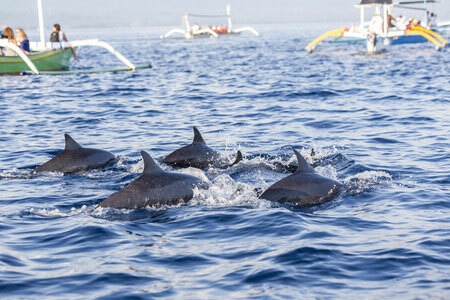 Alternatively, stay one night or more at Lovina Beach before taking a dolphin tour may be preferable.